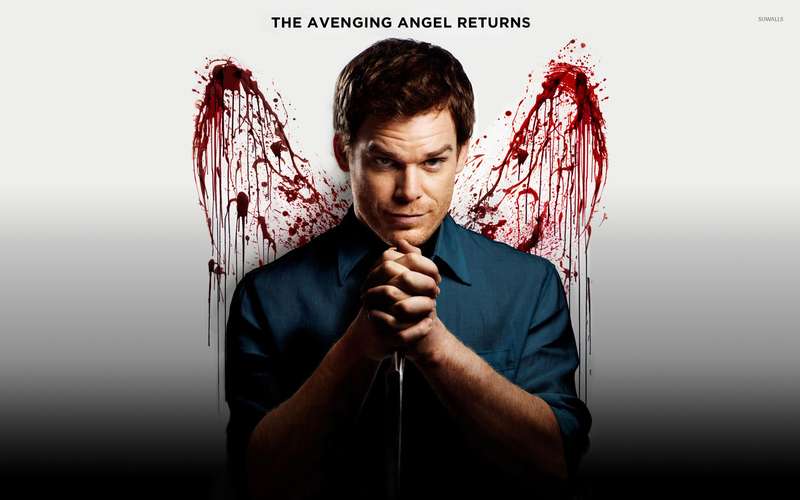 Dexter TV Show desktop wallpaper, Michael C. Hall wallpaper, TV Show wallpaper - TV Shows no. 7107. Download this Dexter Michael C. Hall desktop wallpaper in multiple resolutions for free. Dexter is an American television drama series that centers on Dexter Morgan (Michael C. Hall), a forensic bloodstain pattern analyst for the Miami Metro Police Department who moonlights as a serial killer. The show debuted on October 1, 2006, on Showtime and the fifth season ended on December 12, 2010. As of December 2, 2010, the show has been renewed for a sixth season. Set in Miami, the show's first season was largely based on the novel Darkly Dreaming Dexter by Jeff Lindsay, the first of his series of Dexter novels. Subsequent seasons have evolved independently of Lindsay's works. It was adapted for television by screenwriter James Manos, Jr., who wrote the pilot episode. Michael Carlyle Hall (born February 1, 1971), better known as Michael C. Hall, is an American actor whose television roles include David Fisher on the HBO drama series Six Feet Under and Dexter Morgan on the Showtime series Dexter. In 2009, Hall won a Golden Globe award and a Screen Actors Guild Award for his role in Dexter.